Best Fillet Knife Sharpener 2019 | Top 6 Models Compared! Fillet knives are used to remove the bones from fish that you would like to cook. When the blades on these knives get duller, they are not as effective at deboning fish, and it requires more effort from the user. Every now and then, you will need the services of the best fillet knife sharpener to make your fillet knife as serviceable as ever. In this review, we will take a look at six sharpeners that are used to refine the edges of fillet and boning knives. 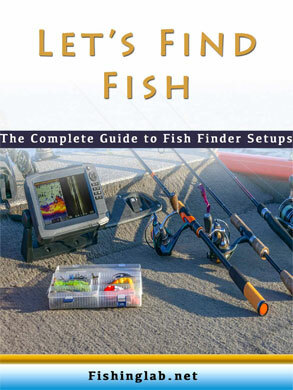 These products come from such brands as Linkyo, Accusharp and Presto. We will point out what makes them great products, as well as what makes them no so great products. At the end of our review, we will choose the best knife sharpener that is worth your money. How Does A Fillet Knife Sharpener Work? This first fillet knife sharpener is from PriorityChef. This is a two-stage sharpener that has a diamond sharpening wheel for coarse sharpening and a ceramic sharpening wheel for finer sharpening. It is guaranteed to keep all of your knives as sharp as tacks. At the bottom of the sharpener is a non-slip base that gives it stability, so that it doesn’t move or slip as you are carefully sharpening each edge. The metal bar featured prominently is actually an ergonomic handle so that you can grip the sharpener comfortably and safely as you work on your knives. The other parts of this knife sharpener are made of a modern stainless steel. This is definitely an appealing looking tool for your kitchen that also is resistant to rust and corrosion. With this sharpener, you can make a pile of useless blades that you might have retired like new again. If you aren’t happy with the experience you get from this knife sharpener, Priority Chef will give you a 100 percent refund. As far as cons go, the performance of this knife sharpener is rather lackluster. To get to a desired sharpness for a dull blade will take you quite a long time, and perhaps multiple sessions. With that said, there are likely other blade sharpeners that can give your fillet knives a sharpening that meets your standards. This next fillet knife sharpener is from Linkyo. This is another two-stage sharpener. The first stage involves reshaping the angle, and the second stage refines and hones the edge of the knife. This tool, you can sharpen two blades at once. This sharpener comes with strong non-slip suction that plants the device onto your counter so that it never moves or slips as you sharpen your knives. In each slot, there are auto positioning guides that align the blade up perfectly for flawless performance and optimal sharpening each time. The only way that this tool can fail to sharpen a blade is if you hold or motion the blade in the wrong ways. After you register this product with Linkyo, you receive a one-year manufacturer's warranty. If for any reason the product goes bad on its own, you will be eligible for a free replacement at no cost to you. The learning curve in using this fillet knife sharpener, however, is very high. You have to work the knives diligently and carefully through the slots in order to sharpen them as quickly as possible. You can’t zip the knife through or motion it back and forth like a saw. It can be very simple to not use this knife sharpener properly. This next knife sharpener comes to us from Smith’s. This is a pocket knife sharpener that looks similar to a retractable pocket knife. You can hold this sharpener right in your hands and use it anywhere you go, including the kitchen, at a campsite or anywhere else. This is definitely good enough to sharpen a fillet knife. This is a handy tool that allows you to sharpen coarsely with a carbide blade and finely with a ceramic stone. What is great about this fillet knife sharpener is that you can open it up and replace the blades inside with newer ones. This knife sharpener also has a tapered diamond rod. So that you can reinforce strong, thin blades further. This rod is good for sharpening serrated blades. Serrated blades are not meant to be sharpened with traditional knife-sharpening measures. There are many detriments to owning a portable knife sharpener. While it is small in nature, it also can be hard to get a good sharpening because you are not sharpening on a flat surface. All you have to keep it stable is your hand that is always moving. Furthermore, the shell is made of plastic. This plastic after aggressive use can wear out and crack over time, making it slightly more dangerous each time you use it. The AccuSharp fillet knife sharpener as an unorthodox design to it. Rather than run the knife through the sharpener, you run the sharpener through the knife. While this is a knife sharpener that can be taken anywhere you go, the makers of the product had it for just the kitchen in mind. With your knife on a flat surface with the blade facing up, you are to straddle the blade with the sharpener. To protect your fingers from possible harm, the blue plastic guard is there to keep them safe from your knives. With an ergonomic and comfortable handle, you can use this tool with either your right or left hand. Furthermore, you can replace the blade of this knife sharpener with a new one once the current one grows dull. Homeowners who actively use this knife sharpener report a life span of five to ten years before they need a new blade. The blade of this sharpener is made of diamond-honed tungsten carbide. The performance in sharpening fillet knives is “okay” for the most part. It will sharpen your knives without question, but not razor sharp like as advertised. This is rather a simple tool that does a simple job. Consider this knife sharpener if this is all you need for your knives. This next knife sharpener is the Presto Eversharp. The Eversharp is an electric sharpener that requires an electrical source in order to run. This sharpener has a nice design, with a matte black and light grey color scheme. Like the Linkyo sharpener, the Eversharp features a two-stage process that can also sharpen two knives at one time. It can sharpen any blade, except for the serrated kind. When you turn the Eversharp on, the wheels inside spin, so that you get not only resistance that makes your blades sharp, but with friction, so that the sharpening effects are stronger. The first stage gives your knife edges angles. The second stage gives your edges honing and refinements. Even though this is an electric fillet knife sharpener, this is still easy to use. There is nothing you have to adjust or tweak here and there; just turn it on and drag your knives through the slots like normal. This sharpener has a one-year warranty, so if it fails, such as the case with many electric products, you can be eligible to get a new one for free. We only recommend buying this to sharpen ordinary cutlery. If you have expensive knives that you need to sharpen, this sharpener might be way too coarse for them. While it claims to refine think knives, it’s not really the best sharpener for doing such thing. The Blademedic is brought to us by Lanksy. Like Smith’s knife sharpener, this is a sharpener that can fit inside your pocket. You can take this sharpener anywhere you go, from your home to the lake where you happen to fish or hunt. There is a carbide blade for coarse sharpening, a ceramic blade for fine sharpening, a serrated ceramic edge for sharpening serrated blades and a diamond tapered for that is for quickly sharpening blades such as gut hooks. The shell of this knife sharpener is made out of aluminum, so you are sure that will last a long time. It will show no signs of wearing down time after time. The aluminum body prevents the buildup of rust and corrosion. There is a lot that comes with this knife, but even with all that it offers, we are very underwhelmed by its performance. It simply will not sharpen knives good enough, unless they are small. That is to be expected with a portable tool like this, but we find the performance to be lacking even compared to Smith’s knife sharpener. There are a variety of factors to consider when selecting a fillet knife sharpener. Some sharpeners have one stage while others will have two or three. For products with two stages, there is one that pre-sharpens and one that hones and/or polishes. Depending on what your needs are, a knife sharpener with two or three stages will generally tend to work in your favor better than sharpeners that have only one stage. To make sure that the fillet knife that you own is sharpened without causing any harm to its blade, you will have to consider the quality of abrasiveness. Many knife sharpeners use 100 percent diamond abrasives to provide chefs and homeowners with sharp edges, as diamonds are the hardest material that one can use for applications. Other knife sharpeners use blades made of ceramic and carbide, but they can be just as expensive. To tell is a fillet knife sharpener is easy to use, it should feature a precision angle guide that is adjustable. This is due to the guide automatically positioning the knife at the proper angle for precise sharpening. Just be sure that they guide will easily be able to handle certain angles, such as 15 degrees. 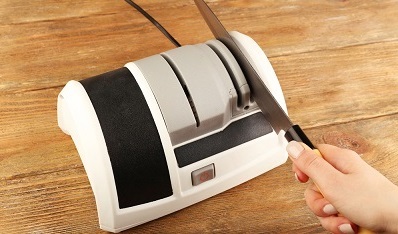 Non-electric knife sharpeners are easy to use and a lot safer than electric knife sharpeners. Electric sharpeners, however, simply provide faster and more effective results, making sharpening a knife faster and more efficiently. Electric sharpeners can also be easy to use, but they are limited when it comes to where you can take them. If you want to sharpen a knife out in the woods, obviously it cannot be possible with an electric knife sharpener. A capable fillet knife sharpener should be backed by a decent warranty. A couple of these knives come with one-year warranties that cover unexpected defects. Before you buy a knife sharpener, always look up the warranty information to find out what does and does not get covered with a warranty. There are usually two stages to make an edge sharp on a blade: sharpening and honing. What sharpening does is remove metal from a knife, leaving behind a finer, sharper edge. There is a “feather” on the edge of your knife that bends with each and every use. What honing does is straighten this edge. If it very important to read the instructions that come with your knife sharpener before your first use of it. All knife sharpeners work slightly different from one another, so it is important that you follow directions to ensure an effective sharpening experience that your product can give you. The fillet knife sharpener that we most recommend to you is the PriorityChef Knife Sharpener. This is an easy-to-use sharpener that will be most ideal for any type of kitchen, whether in your own home or at a restaurant. It works to emphasize its positives while trying to mitigate its negatives. This is a quality sharpener that has had a lot of work put into it to make it great for fillet knives. When you use it properly, it is safe and effective, but it might take a while for you to get the sharpness that you want from your knives. Regardless, this is the product that we most recommend for chefs and homeowners.